It has been brought to our attention that an unauthorised heavyweight boxing match was held in the streets of Bondi on Sunday afternoon. We wish to make it clear that this was not a fixture sanctioned by the International Boxing Federation or any other reputable boxing association. 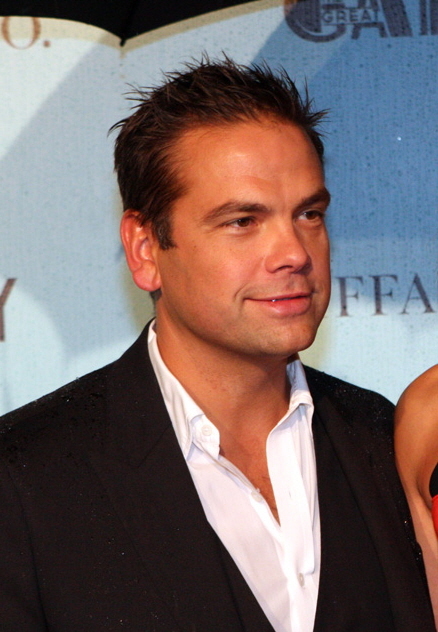 The participants, James Packer Punch and David Caveman Gyngell, are not recognised as boxers, have never applied for an IBF licence and, based on a cursory study of their technical capabilities, would be unlikely to receive one in this lifetime. In the staging of this spectacle, the protagonists have displayed an alarming lack of business acumen that breaks every rule in the boxing promoter’s manual. Where conventional wisdom advocates promoting a bout before it takes place, a previously untested reverse marketing technique was employed here, with aggressive promotion after the event by third parties. This unfortunately led to a diminished attendance and a large number of disappointed fans. The failure to charge spectators is inexplicable. The wearing of tracksuit pants, particularly grey ones, is strictly forbidden in IBF title fights. They’re deeply unflattering, reveal distressing amounts of builder’s crack under stress and do not convey the appropriate sense of occasion. To be compliant, pugilists are required to wear shiny satin shorts and no shirt. That they didn’t in this instance is a breach we’re prepared to overlook. The failure to wear the required safety apparel, such as mouthguard, gloves and headgear, can leave one looking for one’s teeth if one is not careful. (We do not know why the Queen wrote this paragraph). For its technical merits, the fight can be compared to the scrap between Colin Firth and Hugh Grant in Bridget Jones’ Diary (yes, that was simply an excuse to use Colin Firth’s photo). As many of the manoeuvres are unknown to us, we have had to devise our own names as follows. The Guillotine — a headlock with the additional aim of separating the head from the body. This is illegal. The Scooby Doo — where a person tries to rip the face off their opponent, much like the kids unveiling the villain in each Scooby Doo episode. This is illegal but worthy of consideration. The Roly Poly — where the opponents stop fighting and roll around the ground swearing at each other. This has mild entertainment value. At a mere 52 seconds, this bout was poor value for money, even though it was free. This would never happen in an approved boxing fixture. Not since the Tyson-Holyfield encounter of 1997 have we seen such an unedifying display. In the interests of maintaining the professional standards and outstanding reputation of our sport, we reject any link or association with this renegade fixture. 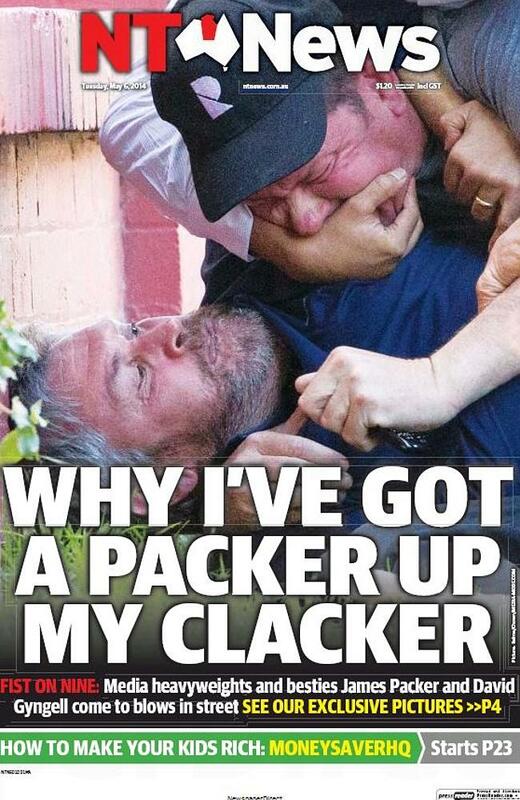 Suggest the subbie who came up with “Packer up your clacker” should be named and shamed. But maybe the NT has an exemption for such headline atrocities. They’ve probably been given an Employee of the Month award. 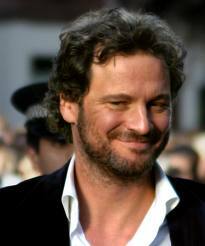 Ooh, Colin Firth in a beard…. What about David Gyngell’s beard? Not a fan?